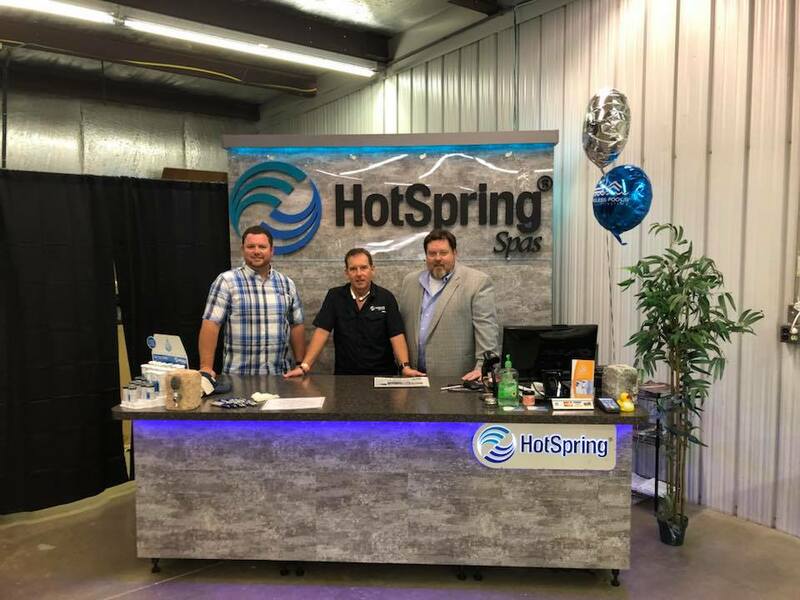 Hot Spring Spas of Iowa and Minnesota, a 5-store hot tub, swim spa and sauna dealer with showrooms in Carroll, Des Moines, and Arnolds Park, Iowa and Woodbury and Plymouth, Minnesota is pleased to announce that their newly remodeled showroom is now open. It is located at 18134 Highway 71, Carroll, IA 51401 and can be reached at 712-792-3376. There have been several upgrades since this store opened in 1980, but the latest renovation makes this showroom one of the largest and most modern in the Midwest,” said Sean Schaben, co-owner of Hot Spring Spas of Carroll. The new floor plan was designed to showcase the high-quality brand name products and accessories the company offers. When visitors step into the Carroll showroom, they’ll know that Hot Spring Spas of Carroll is not “just another hot tub dealer.” They provide the best buying experience by having beautiful and inspiring showrooms where their customers can visualize how a sparkling new hot tub, swim spa or sauna will look in their home. The remodeled showroom is 4000 square feet and displays 20 Hot Spring Spas and FreeFlow hot tubs. All these spas come in a variety of sizes, shapes and colors to fit any backyard or budget. In addition to hot tubs, the store also showcases 2 Endless Pools swim spas, 3 Finnleo Saunas, as well as 2 Covana hydraulic gazebos covers. To compliment these products, the company also sells a full line of accessories and water care products to enhance the hydrotherapy experience. “Hot Spring Spas has been very fortunate to have great people on staff, past and present, who are truly passionate about providing superior service to all our customers. They have taken us to the level of service we are committed to providing today,” commented Schaben. To celebrate and thank local residents, Hot Spring Spas will be providing free hot tub, swim spa and sauna test soaks for the entire month. They do recommend, however, that people wanting to schedule their free 30-minute test soak call them ahead of time to reserve their spot. Consumers wanting to learn more about hot tubs and how they can help improve overall health and well-being are encouraged to pick up a copy of this free hot tub buyer’s guide, 7 Critical Questions You Must Ask Before You Buy a Hot Tub. Just call 712-792-3376 or visit the company website for more information at https://HotSpringGreen.com.